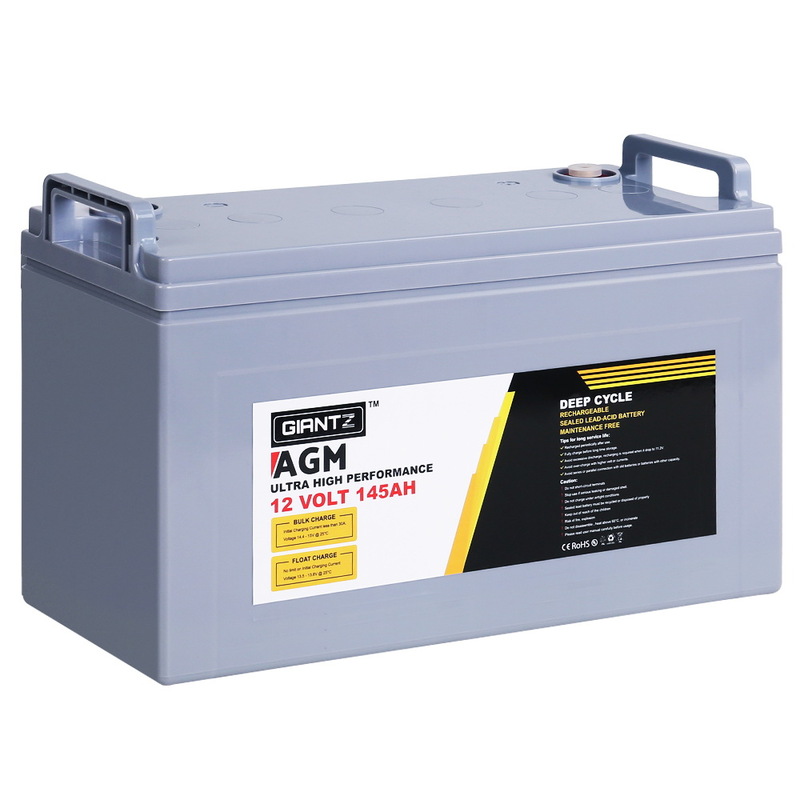 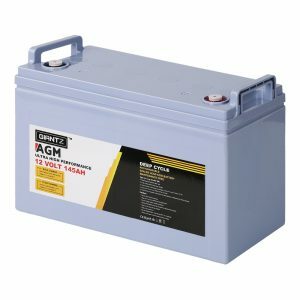 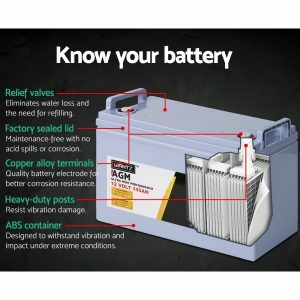 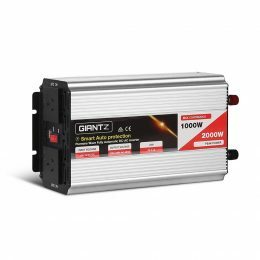 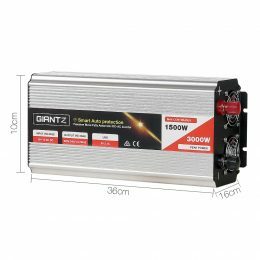 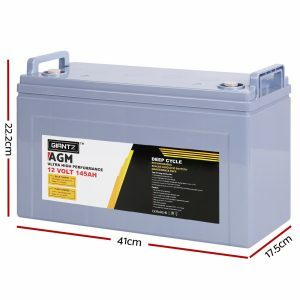 p>The portable GIANTZ Deep Cycle Battery provides off-the-grid power supply for 4WD vehicles, caravans, campers, trailers, motor homes, saltwater/marine applications, and all 12V appliances including portable fridges and washers. 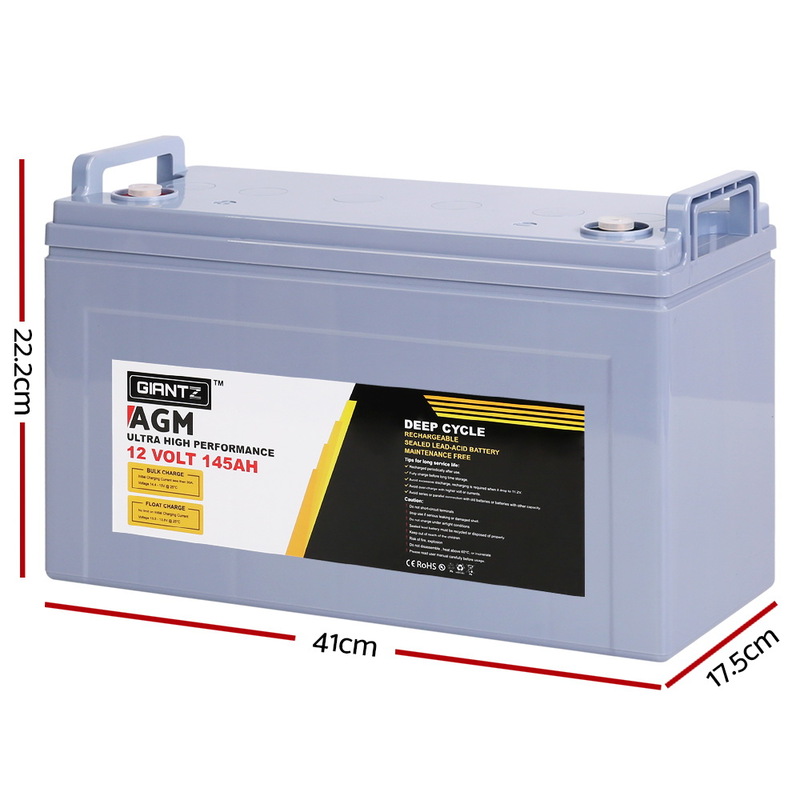 The 145Ah 12V battery features an incredible cycle life of up to 1600 cycles, making it one of the most enduring in its class. 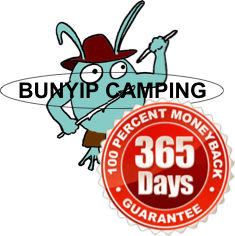 What you get is a longer, consistent and more drawn out charge all the time. 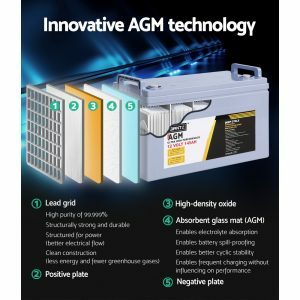 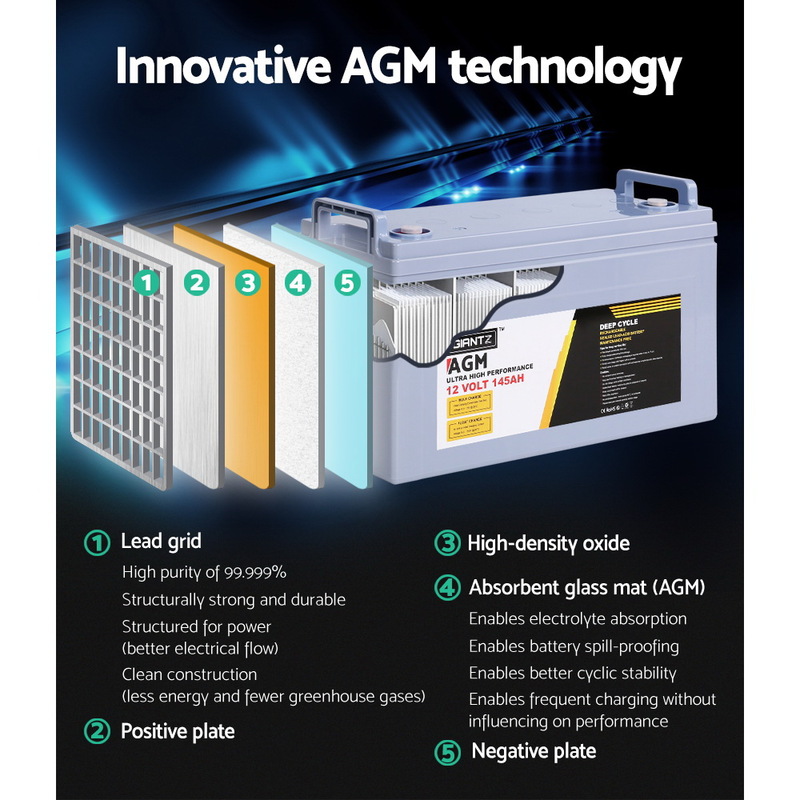 And with its advanced AGM technology, the battery enables better electrolyte absorption, cyclic stability and frequent charging without affecting performance. The bolt down terminals also allows for more reliable experience, and not least, the high oxygen-recombination efficiency results in superior deep discharge recovery. 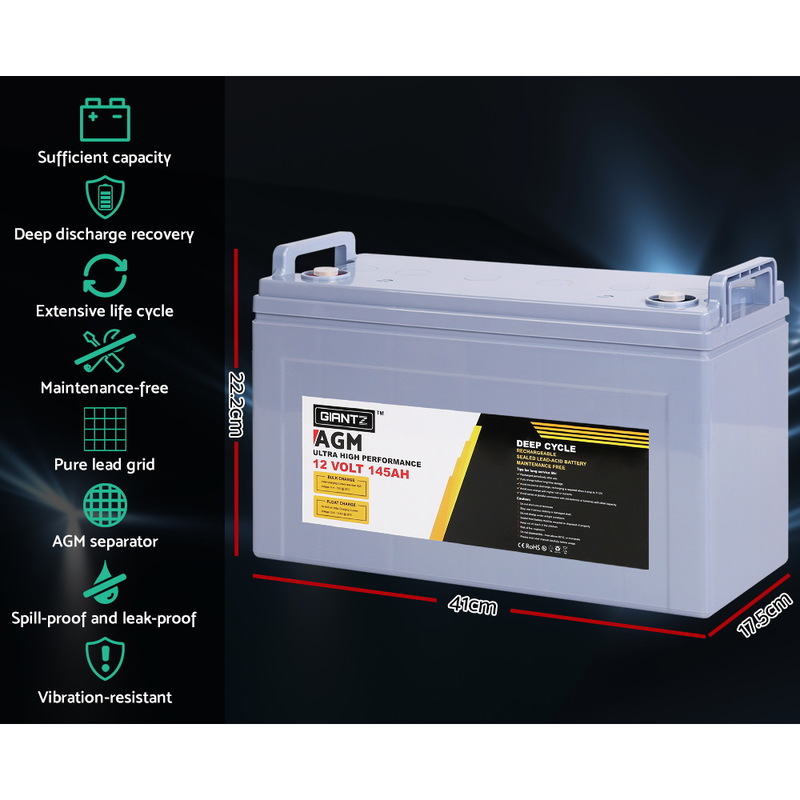 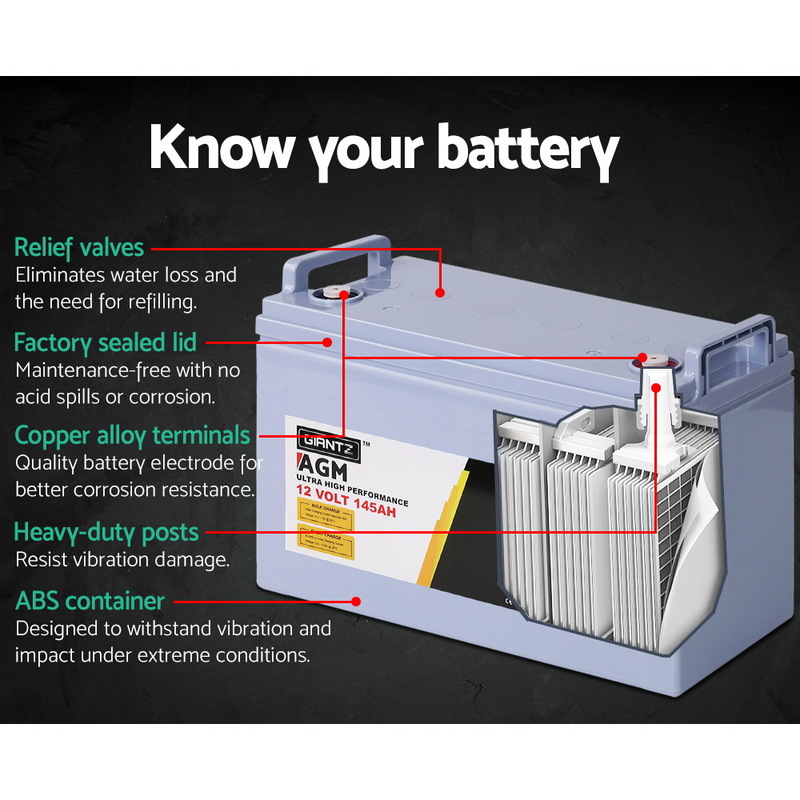 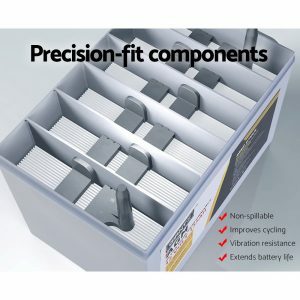 The maintenance-free deep cycle battery is completely sealed, spill-proof and does not leak gas for added safety and durable use.